Truth be told, I would have probably not wandered in to the National Crafts Museum, if it wasn't for the very enticing Cafe Lota. The cafe I will get to, but the museum and shop, is really worth the visit It isn't the usual shoddy government production we're used to seeing around the city. But of course for me what was truly inspiring was Cafe Lota. Opened only 3 months ago, its well deserved praises have already been sung around the city. 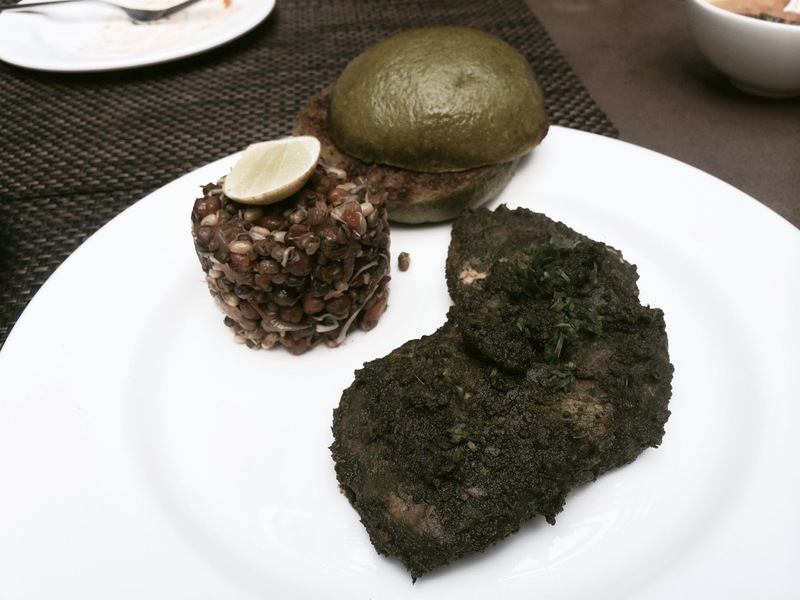 Two great things Lota has done for the Delhi food scene. 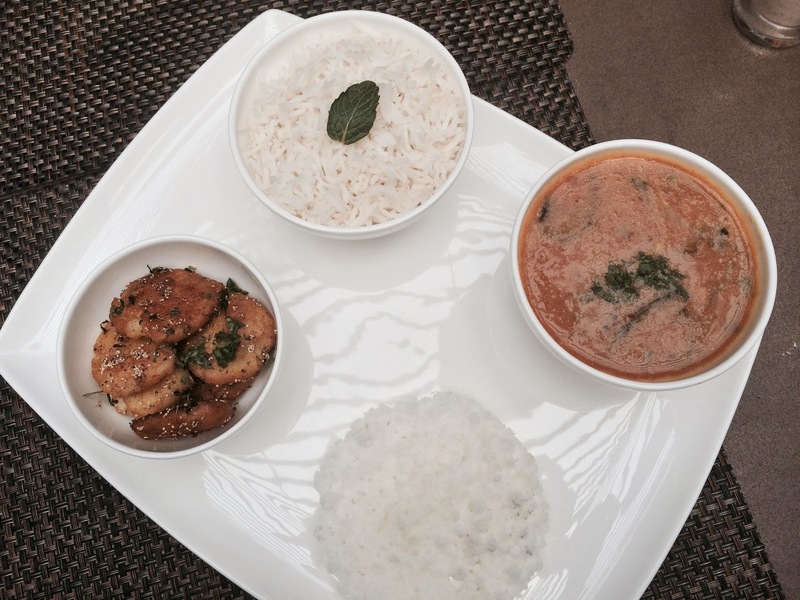 One that it has managed to present regional Indian food in a fresher, healthier avatar. It takes away all those limitations put on restaurant style Indian cooking - "too heavy", "too greasy". 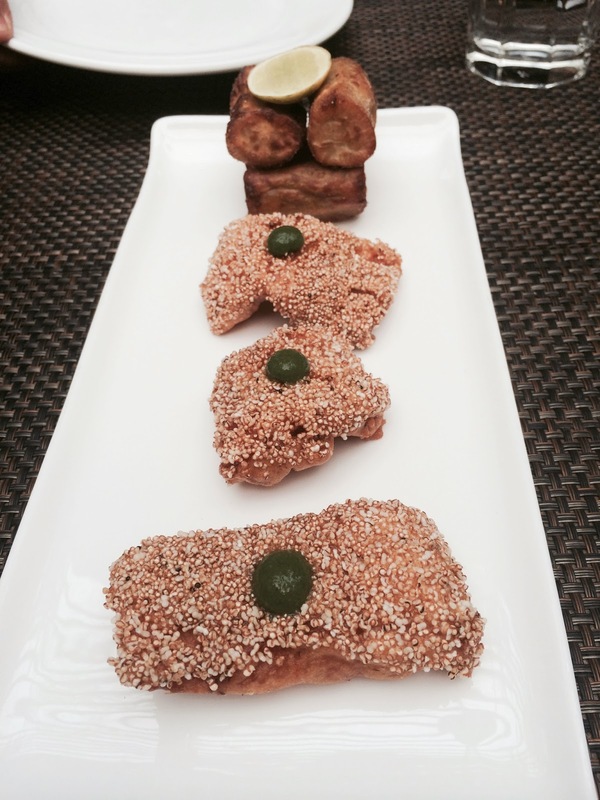 And two, it has opened contemporary Indian cooking to a wider audience, by being priced somewhere in the middle. It means that it needn't just be the privileged few who get to enjoy the nouvelle delights of a quinoa upma or a beetroot appam. Here are my recommendations based on what we ate. 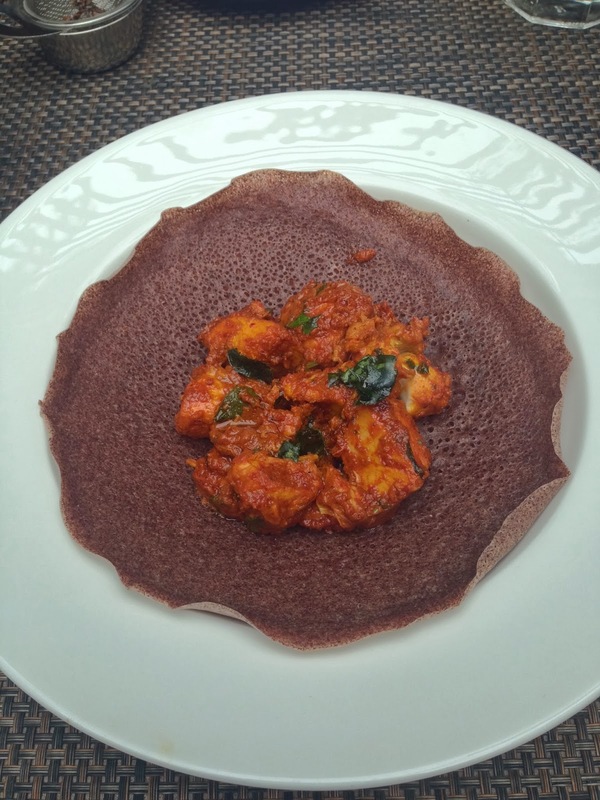 Chicken Ghee Roast w/ Beetroot Appam - This was probably the best dish that hit our table. The chicken ghee roast wasn't bordering a torturous spicy as it would traditionally. Which I'm guessing was intentionally and thankfully done! But shows you don't have to declare war on ones tastebuds to be absolutely scrumptious. I would recommend ordering an extra beetroot appam (they have them under 'breads'), because there is definitely enough chicken to spill over to the next appam. 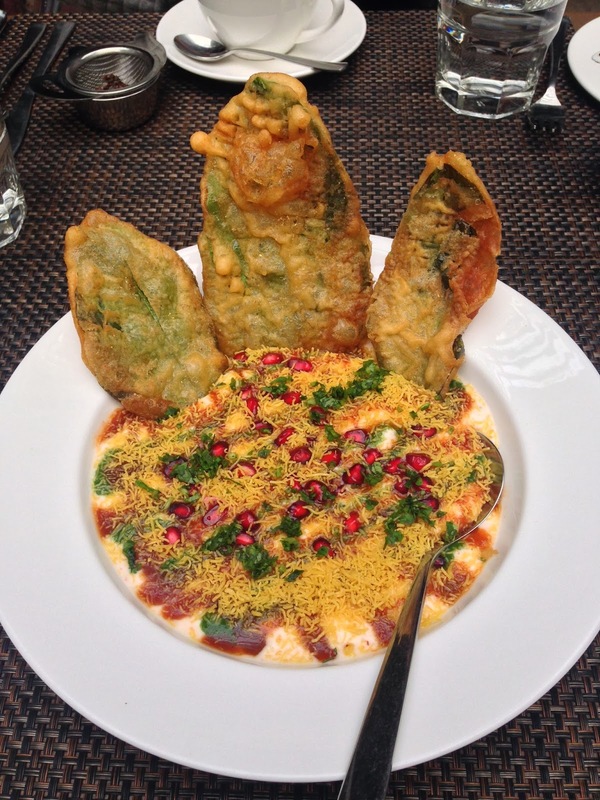 Palak Patta Chaat - No surprises here. Just good old fashioned palak chaat. Crispy spinach tiptoeing its way in to a pool of sweet, spicy, sour sauces and cooling yoghurt. Sindhi Kadhi, Alu Tuk & Steamed Basmati Rice - I think you can ask to swap the white rice for Kerala red rice, which unfortunately I didn't realize until later or I certainly would have. The sindhi Kadhi was light, homey, and though it doesn't do the jig off your plate, it doesn't fail to satisfy either. As for the alu? I am Parsi. Where there is alu there is happiness. Maach Kumoro - Panfried Sole w/ a sweet & sour tomato chutney & a side of pumpkin. Again a light dish, perfect for the calorie conscious. 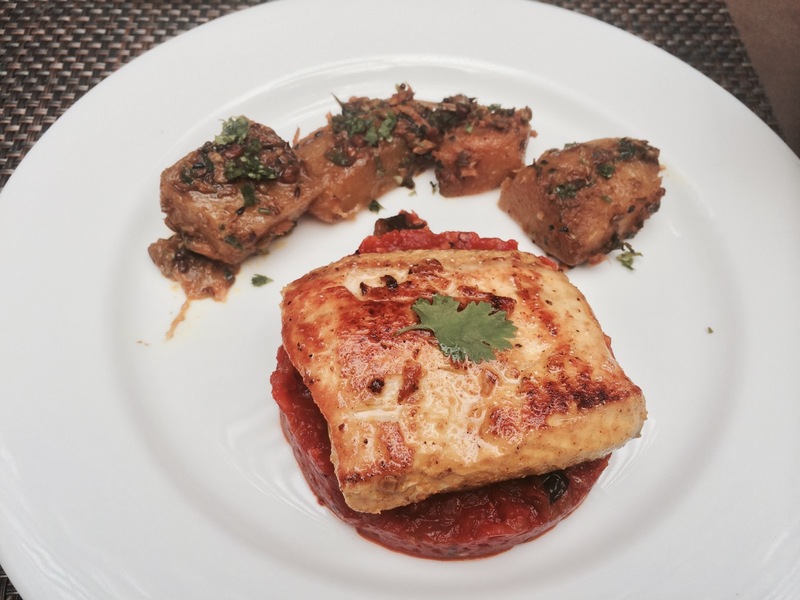 I absolutely loved the tomato chutney and it would have been almost perfect, if the fish was cooked a little bit less. Worth a try indeed. 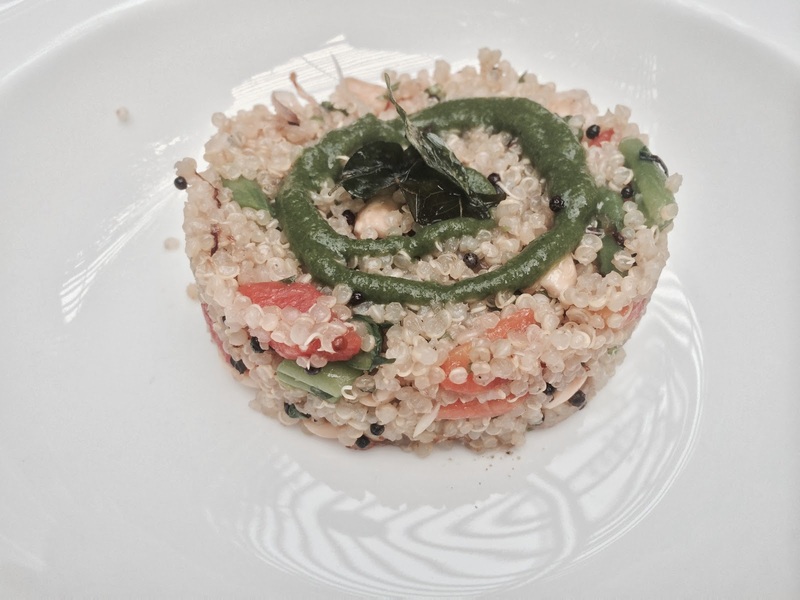 Quinoa Upma - Another gluten free option. I love upma. And I loved Lota's take on it. I found it was lighter than the traditional version too. 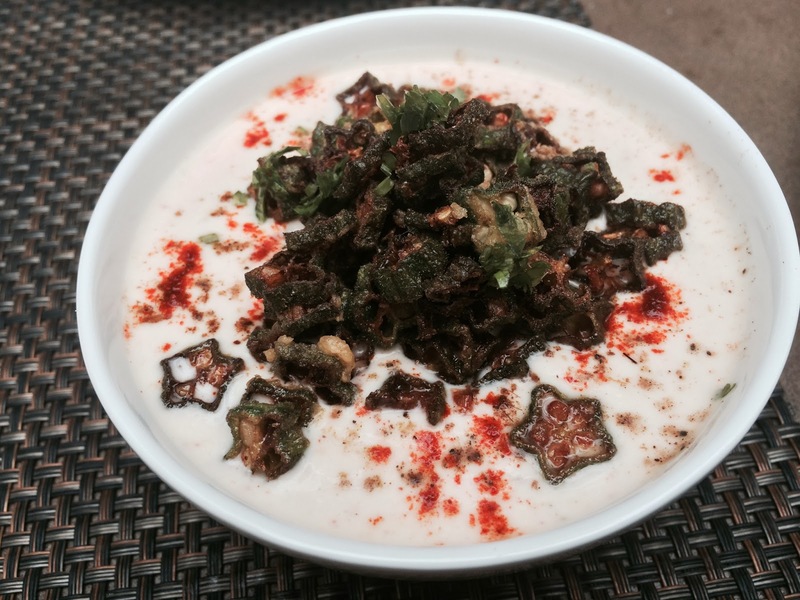 Kurkuri Bhindi ki Raita - Im a big fan of kurkure bhindi or baingan ki raita. Simple, executed well. Dessert - Chef Dua clearly understands a foodie's dilemma because when I asked him what dessert I should try, he very perceptively sent over a tasting platter of 3 desserts. The first was an overly glutinous dumpling, which was some sort of special. The other two, were certainly not as easily ignored. 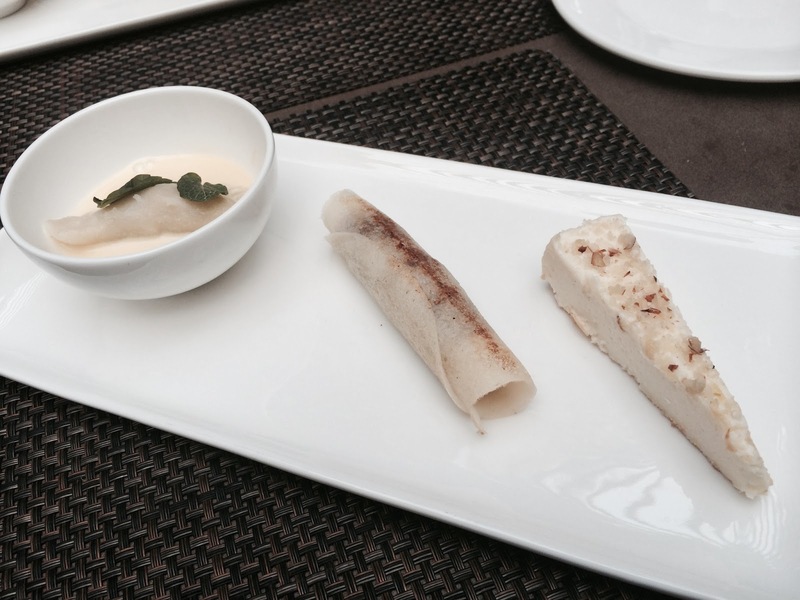 The middle one - a pancake with sweetened grated coconut, a delight for any coconut lover. Last but king of them all, the Bhapa Doi Cheesecake - crunchy biscuit base topped with sweetened steamed yoghurt - absolutely divine! 'Fish & Chips' - Amritsari Amaranth Machli aur Shakarkandi - Let me just add that the shakarkandi was yummy and a clever accompaniment. However, the fish failed in two key places - one that it was a tad over cooked and dry. Second, that it was bland, and lacked adequate seasoning and flavour, which was further subdued by the two layers of armour - batter and the amaranth. However, if the fish was better seasoned and not overcooked it could make for a great dish. Beetroot Chops 'Bhaja Moshla' Cream Cheese - Bhaja Moshla is a very popular Bengali spice mix consisting of, cumin seeds, fennel seeds and dried red chilies. Sadly, for these glum little chops none of this 'moshla' really came through. 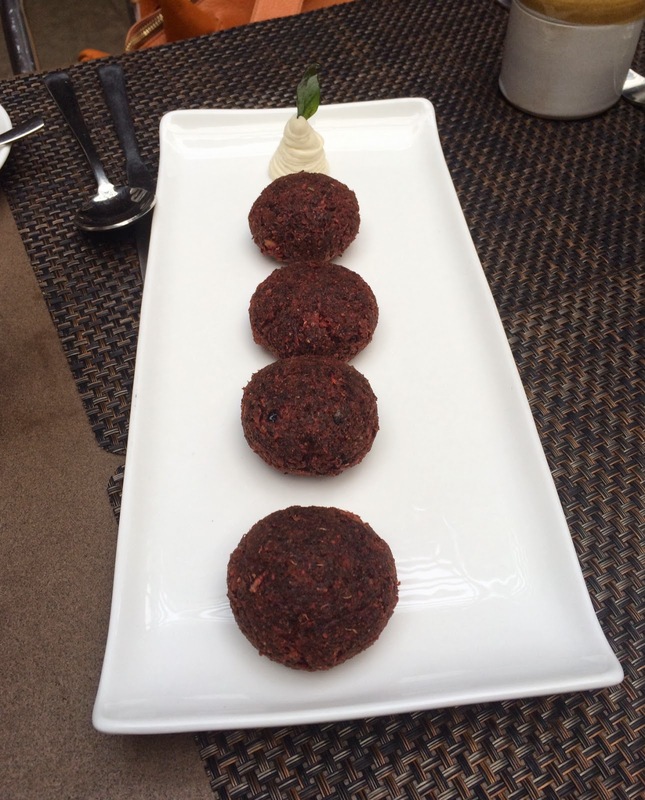 And though highly recommended, the beetroot kebabs were tasteless (and a bit dry), to the point that made me question, not only their purpose but their presence in my mouth. I did like the cream cheese with the beetroot however. Goan Galinha Cafreal - Lets just say I don't mind having tried it, but definitely not the best cafreal my voracious appetite may have devoured. I would add Salli Boti - but my father's fabulous cooking has absolutely ruined parsi food at any restaurant for me! So, definitely go eat at Cafe Lota - food that is closer to home than indigestible stuff at most restaurants. Also do try and go for lunch, besides the nice alfresco, the Crafts museum itself is well worth the gander. National Crafts Museum, Bhairon Road - Google maps does a pretty good job of getting you there.